Right, so, I meant to post about this last week but, well, you know how it goes. Time passes. No posts. Lo and behold, here we are. 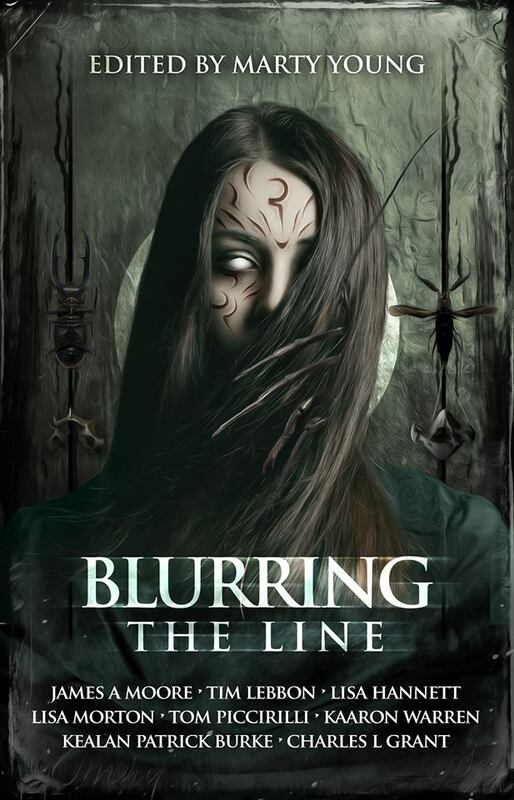 At any rate, I’m stoked to finally be able to announce that I’ve got a new bizarro ghost story in this anthology, which, if the awesome-creepy cover and table of contents are anything to go by, will be filled with lots of great and unsettling horror. Tags: alan baxter, alex c renwick, annie neugebauer, blurring the line, brett mcbean, Charles L. Grant, gregory l. norris, james a moore, james dorr, Kaaron Warren, kealan patrick burke, lia swope mitchell, lisa morton, marty young, patricia j esposito, paul mannering, peter hagelslag, rena mason, steven lloyd wilson, tim lebbon, tom piccirilli. Bookmark the permalink. Previous post ← Lament for the Afterlife: Brisbane Launch!